The Highland Lakes are a gem hidden deep within the Texas Hill Country, a region that has been gaining notoriety for its burgeoning wine industry and natural beauty of the lakes. Geographically the lake region begins 85 miles northwest of Austin and ends just inside the Austin area. It is made up six lakes, Lake Buchanan, Lake LBJ, Inks Lake, Lake Marble Falls, Lake Travis and Lake Austin. Here visitors can swim, water-ski, kayak, fish, camp or just sit in the shade and fall asleep under the big, blue Texas sky. The lakes, built on dams on the Colorado River, were constructed in the 1930s and 40s to control the flooding of the Colorado River that regularly threatened Austin. Engineers used the natural geography of the hills to form the basin of the lakes. 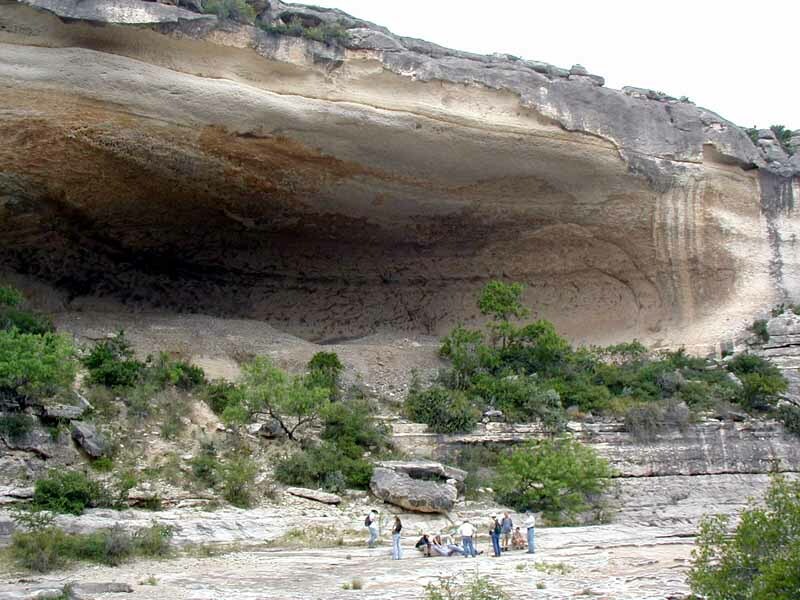 Today, they are a Texas treasure covering thousands of acres and millions of people find respite there each year. A variety of water activities to meet any taste, from active to relaxing, are available on the Highland Lakes. The beauty of the lake region is there are activities for people of every economic level. Whether visitors want to camp out under the stars, rent a lakeside cottage or just spend the day swimming and splashing around in the water, it’s all possible at these lakes. Families can find endless hours of joy visiting one of the many lakes, hiking through the Cedar-lined trails or picnicking while taking in the beautiful Blue Bonnets and Indian Paint Brush wild flowers that explode on the hillsides in the spring. 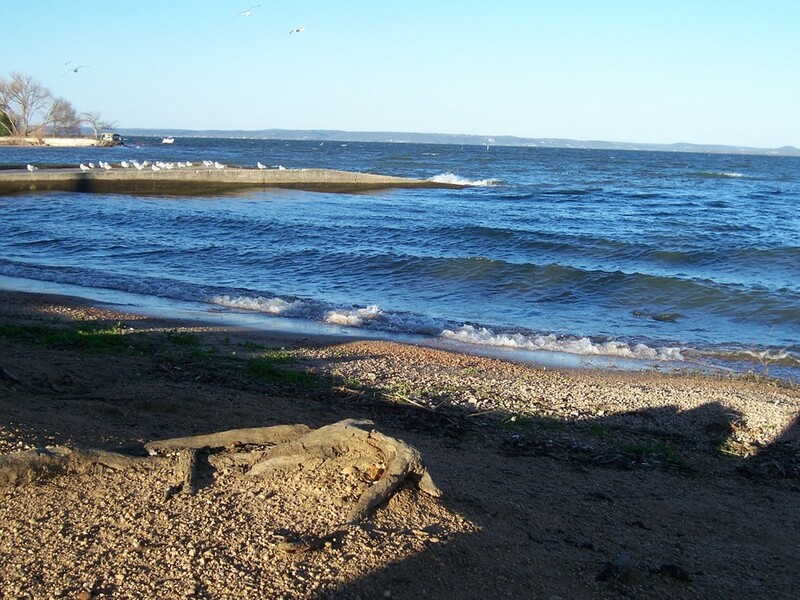 One of the most popular lakes in the region is Lake Buchanan, the largest of the Highland Lakes. 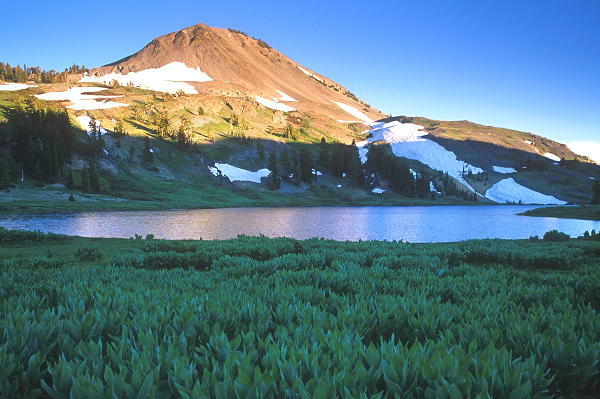 This lake is known for scenic vistas, great fishing and myriad boating activities. Fisherman can simply wade into the water and angle for a variety of Bass, Catfish, White Crappie and Sunfish or alternatively take a boat or guided excursion to fish in deeper waters. Visitors can participate in water-sports like jet skiing, water skiing and kayaking or go boating on the almost 150 square miles of the lake. A special treat for active individuals that also enjoy sampling wine is to combine a kayaking excursion with a visit to Fall Creek Vineyards. Kayakers are welcome to dock their boats at the shore and then walk a short distance to the winery, where guests can sample the award winning wines while enjoying their picnic lunch on the patio. Several other wineries are in the area for those that want to take a day to experience wine-tasting. 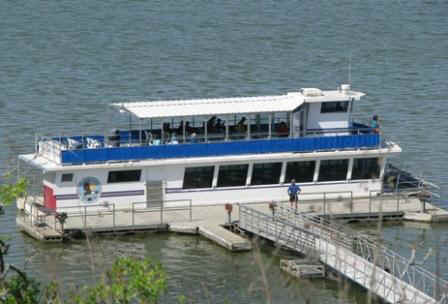 One of the most enjoyable activities on the lake is the Vanishing River Texas Cruise. A double decked river boat offers a relaxing cruise down the Colorado River. The top level of the boat offers amazing views of the Texas hill country as knowledgeable guides identify the flora and fauna on the river bank. The lower level provides enclosed seating for those wishing to enjoy the dinner parties, meals or refreshing beverages. Falls Creek Falls, Ceremonial Rock and Old Bluffton, a town flooded during the creation of the lake, are major highlights of the journey. The Canyon of Eagles is a spectacular park on the shores of the lake. It features an 800 acre nature preserve where the American bald eagle soars through the skies, the golden cheeked warbler and the black-capped vireo flit among the trees and owls look on in quiet majesty. 14 miles of hiking trails meander through the nature preserve among Cedar-lined pathways. At the shoreline, guests will find a kayak rental facility and can launch kayaking excursions from here, or choose to simply swim and enjoy the lake views from the shore. The Highland Lakes region of Central Texas is amazing. 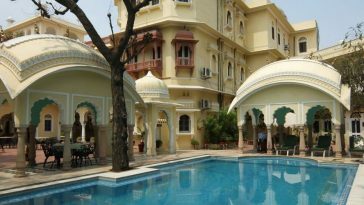 It offers diverse activities and unmatched natural wonders. 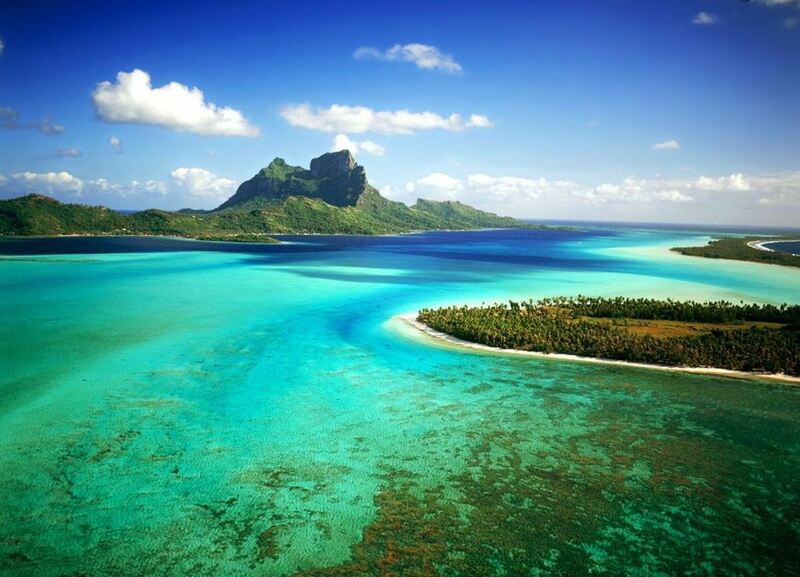 Enjoyment, entertainment and education are all there for those who choose to visit. Take some time to drive off the beaten path and experience it. Tracey Louis is a former innkeeper at Lake Buchanan and loves to travel. She enjoys sharing great, hidden travel spots like The Highland Lakes with other travelers. For more information on upcoming events at The Highland Lakes on Facebook or on Twitter.